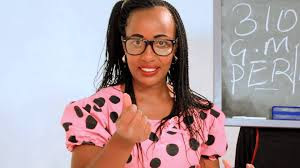 Following the incident, Kenyans have become creative and hilarious jokes have been circulating on social media, but the biggest of all is probably Teacher Wanjiku's video that she made dubbed Umuhimu wa miti (Nyeri). The six minute video is so hilarious that it got everyone sharing and talking about it. So far it has garnered more than 15k views.